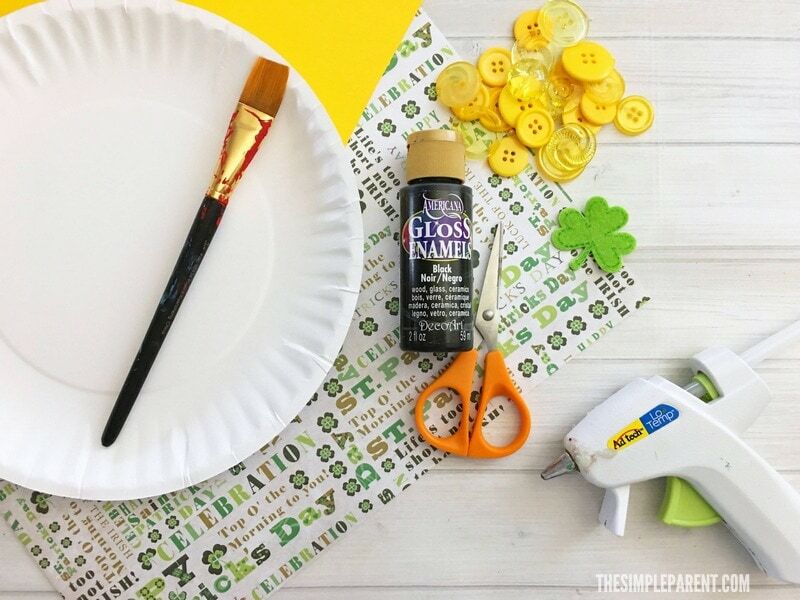 Home » Crafts & DIY » Try This Easy Pot of Gold Craft for Kids to Celebrate St. Patrick’s Day! St. Patrick’s Day is right around the corner and we had so much fun making our Preschool Leprechaun Craft, we wanted to do more! 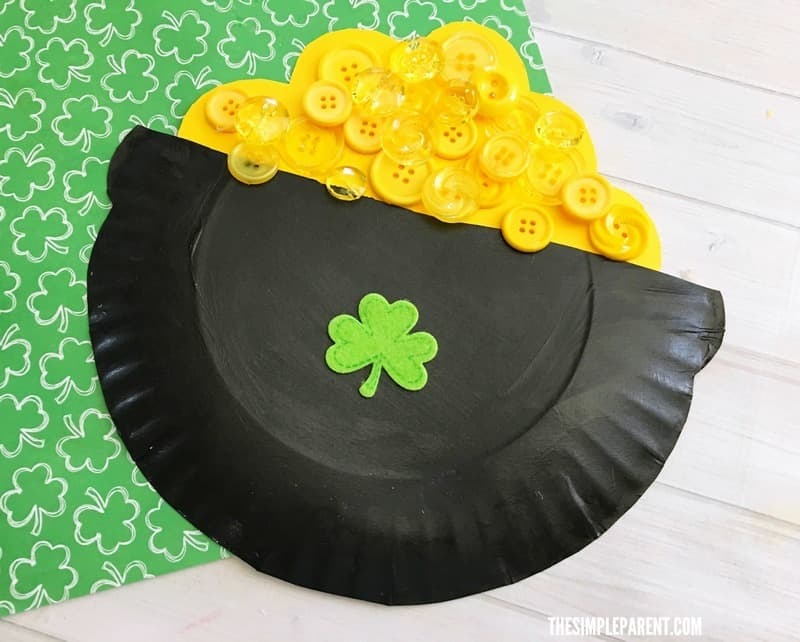 So we made this easy Pot of Gold Craft for Kids to go along with our leprechaun! Both use paper plates to make so you can do them together or as stand alone crafts! We’ve included some affiliate links in case you need some supplies. 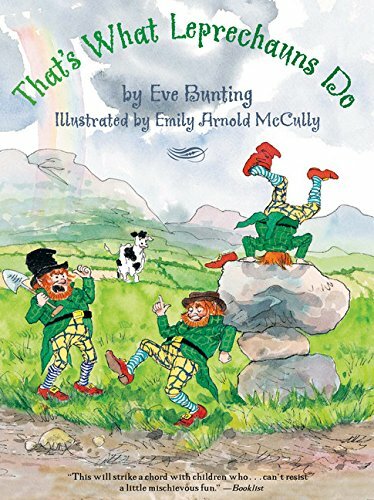 Also, check out some of our favorite St. Patrick’s Day books to read together at the bottom of the post! As you might know, we’re huge fans of paper plate crafts (especially for the holidays) because they’re usually pretty easy for kids of all ages to make! We’re all about keeping things easy here. As long as you are willing to let your kids be creative and have a good time, our pot of gold craft for kids can be fun for everyone! 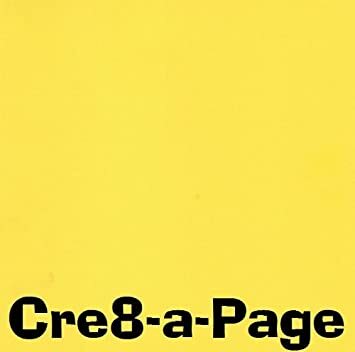 Cut off the top 4″ of a paper plate, making a straight line across the plate. Cut a small triangle out of each sides of the paper plate about 1.5″ from the top and round the edges leaving a rim on your pot. Paint the paper plate pot black and let dry. 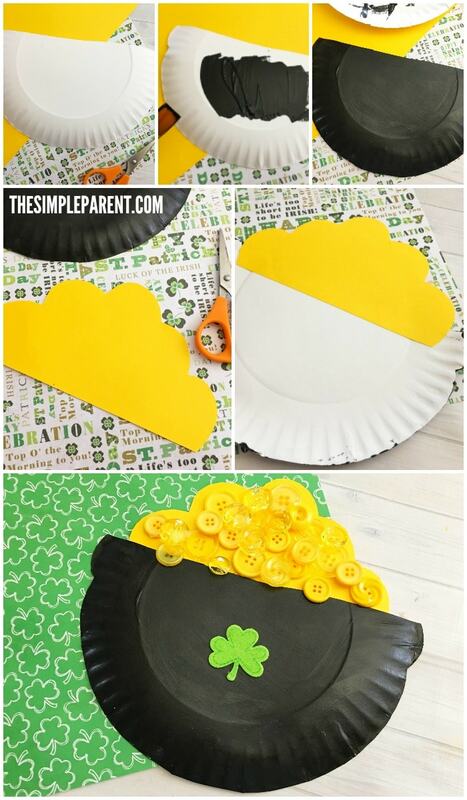 Then cut a cloud like shape with a flat bottom from the yellow card stock. I should be about the width of the paper plate. Glue the flat edge to the back of the paper plate. 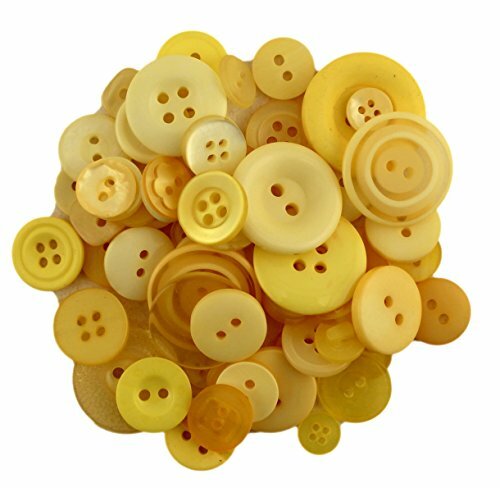 Glue yellow buttons all over the yellow cloud shape. 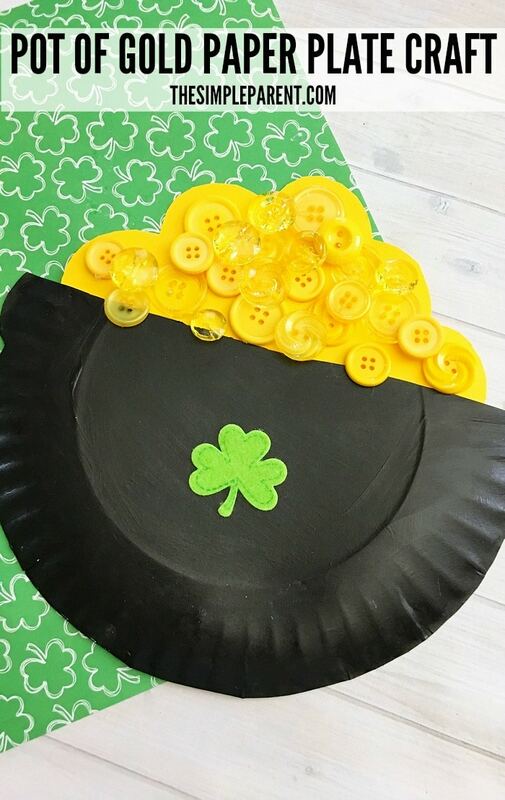 Stick a clover sticker onto the front of the black pot to complete your leprechaun pot of gold craft! 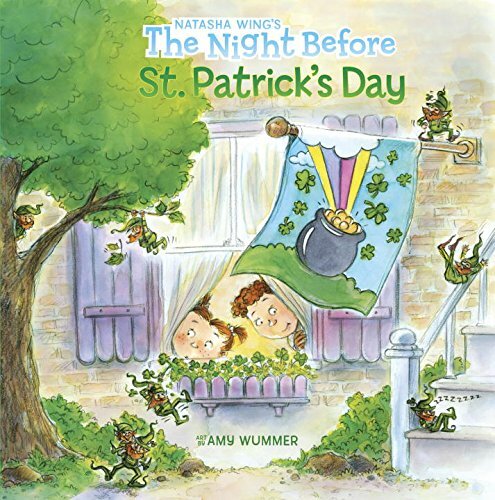 You can make a paper plate pot of gold craft and then share a good book together. 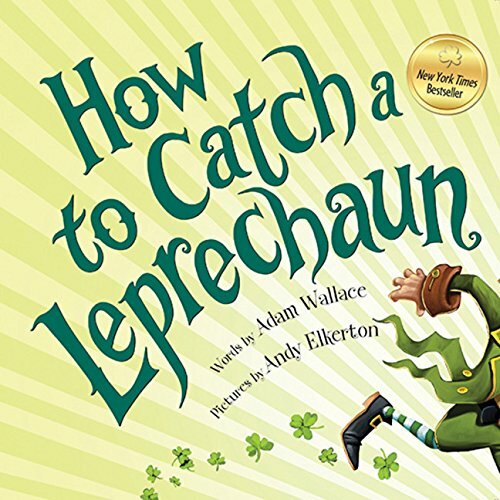 It’s an easy St. Patrick’s Day tradition that your kids will remember as they grow up! 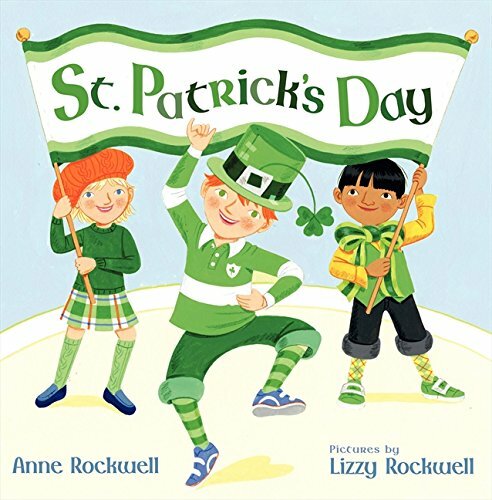 For even more ideas, check out some of our other St. Patrick’s Day ideas!